Could your diet be making you sick? If you’re not getting enough of the nutrients in these immune boosting foods, your immune system might be missing important things it needs to keep you healthy. Try these immune boosting foods to keep you healthy this season! I battled an absurd number of colds when my eldest entered the public school system, so I took a hard look at what was missing from my mainly plant-based diet to up my odds of winning the war against elementary-school viruses. What I learned through hours of research has helped me eat to keep colds at bay more effectively. I’m so thankful I didn’t have to slog through another year feeling lousy all the time! I wanted to share this information with you in case fixing a shortfall in your diet could help you stay healthier, too. Your immune system is a complex thing, and a lot goes into making it function well. Current research suggests certain vitamins and minerals play particularly important roles in keeping our immune systems humming. A varied, whole-foods diet is a great start, providing you with an array of critical immune-supporting nutrients and sufficient protein and healthy fats. But even us real foodies tend to eat a lot of the same things each day and may not get enough of the nutrients our immune systems require to do their job well. Below are some of the most important building blocks for your immune system according to current research. Be sure you’re getting plenty of these immune boosting foods in your diet, from A to zinc! Vitamin A plays a critical role in immune function, and if you’re not eating much orange food, you’re probably not getting enough. I’m pretty sure I wasn’t. Dig into those carrots! My favorite ways to get vitamin A are sweet potatoes, carrots, kale, spinach and mangoes, all of which contain more per serving than you need each day. Pumpkin is also a good source, and I’ve collected 75 inventive pumpkin recipes to help you incorporate it into your cooking. Eat them plain or incorporate them into your favorite recipes. Dried mangoes are a delicious, sweet treat that can help you say no to the immune-suppressing sugary snacks. (You can make your own dried mango for a fraction of the cost of prepackaged.) More vitamin A-rich foods here. I got interested in B-6 when I was seeking ways to improve sleep quality (also vital to staying healthy!) and learned it’s also involved in immune function. Since many of the richest sources of B-6 are meat and fish, my mainly vegetarian diet may not have been providing enough to help me battle the cold viruses my kindergartener brought home. Now I’m trying to eat more bananas, chickpeas, sunflower seeds, sweet potatoes, and squash regularly rather than just once in awhile. More suggestions for B-6 rich foods here. Because of its important role in fetal development, you’ll find many processed foods fortified with folate. But if you avoid processed foods — generally a good idea! — you need to be a little more intentional about getting enough. Liver and spinach are especially rich sources. More food sources here. If you’re popping vitamin C supplements, you may want to rethink. Most supplements (and many “fortified” foods) use a synthetic form of vitamin C called ascorbic acid, which may not be used by the body in the same way. And the vitamin C in our food has declined since the rise of industrial farming, so some foods we turn to for vitamin C don’t contain as much as we think. Oranges and orange juice aren’t actually the best sources of vitamin C. Try broccoli, red and green peppers, kale, kiwi and strawberries. You can also seek out a food-derived C supplement. Note that vitamin C is sensitive to light and heat, so cooking foods will break it down. Check out this yummy-looking recipe for vitamin C gummies and Renee’s interesting discussion of vitamin C at Raising Generation Nourished. Vitamin D deficiency is widespread. We spend far more time indoors than we used to and wear sunscreen when we’re outside, blocking our bodies’ natural production of vitamin D. And even if we do make sure to get outside often, those of us who live at higher latitudes just can’t get enough sun much of the year to make the vitamin D our bodies require to function well. This post from Harvard Medical School has a useful map showing where folks don’t get enough sun (except in summer) to make sufficient vitamin D. If you live above 37 degrees north or below 37 degrees south, you may be one of the millions worldwide suffering from a D-ficiency. There are food sources of vitamin D (fatty fish like salmon, plus eggs and fortified foods and beverages, which often contain D-2, a version of Vitamin D that isn’t as well utilized by the body as D-3), but it’s hard to get enough on a regular basis. If you’re concerned about your vitamin D levels, it’s best to discuss testing and supplementation with your doctor, who can advise you on the best approach. Vitamin E also appears to play a role in immune system function, and is another nutrient that can be easy to fall short on if you don’t pay careful attention. Eating sunflower seeds and almonds regularly should help. Many vegetables, including pumpkin, spinach, and broccoli also have some vitamin E. More food sources of vitamin E here. Liver and oysters are the best sources of copper; sunflower seeds, many nuts, and mushrooms contain copper, but in lesser amounts. If you’re eating a vegetarian diet, copper could be something else to keep an eye on. Copper content of foods here. Vegans, vegetarians, and mostly vegetarians: Iron’s another nutrient you may need to pay more attention to than your carnivorous friends. If you eat mainly a plant-based diet — which is great for you in many ways, but requires some vigilance to do correctly — it’s a good idea to get your iron levels checked, as insufficient iron can make you tired and weak as well as prone to infection. Iron absorption from plant sources is more difficult from meat, so you want to pair iron-rich foods with some of those vitamin C foods, which enhances its bioavailability. It’s also a good idea to avoid caffeine and calcium-containing foods when you eat iron-rich foods, as they can interfere with iron absorption. You might also look into cooking in cast iron or taking a supplement if tests show that your levels are low. Beans, lentils, molasses, spinach, and dark chocolate are all decent plant sources of iron, though the phytic acid in legumes and grains can decrease absorption. Soaking and sprouting these foods can help break down the phytic acid and makes their nutrients more bioavailable. More iron-rich foods here. Magnesium is thought to play an important role in all kinds of bodily processes, including immune system function. Most of us don’t consume enough and would sleep and feel better if we ate magnesium-rich foods regularly. Selenium is another mineral that can affect immune function. I’ve read conflicting things about whether most of us get enough from our diets. It appears in small amounts in a number of foods, including nuts and whole grains, but only if the soil they’re grown in is rich in selenium, which varies by region and can also be affected by land management practices. So we can’t really know how much is in the foods we’re eating. According to the NIH, most Americans and Canadians get sufficient amounts from foods like meat, seafood, eggs, and grains (list of selenium in select foods here.) An especially rich potential source of selenium is Brazil nuts, which can contain a whopping 777 % in a 1 oz serving (6-8 nuts)! So if you decide to add Brazil nuts to your diet, don’t eat too many, and not every day. Zinc plays an important role in your immune system and has been shown to reduce the severity and duration of colds. You can get it from certain foods, especially oysters, beef, wheat germ, and pumpkin seeds. You can also take a zinc tablet when you think you may be coming down with something. I like these, which also have elderberry. You’ve probably heard that probiotic-rich foods support a healthy gut. Why is that important to your health? Up to 80% of your immune system is thought to reside in your gut, so supporting gut health is critical to keeping pesky colds at bay. Make sure you’re getting plenty of “good bugs” during cold and flu season! Probiotic-rich foods are your best source of the good bugs that keep your gut working well, so seek out lacto-fermented sauerkraut, pickles, and kimchi, as well as unsweetened yogurt, kefir, kombucha, and other fermented drinks. 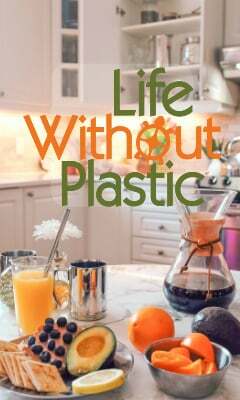 You can save a lot of money and plastic, plus skip all the added sugar by learning to make your own. I save $1000 a year (and tons of plastic) making my own homemade yogurt. Check out these tutorials on how to make your own kefir and raspberry kombucha from Whole Natural Life and coconut milk yogurt from Small Footprint Family. You can also try a probiotic supplement. Prebiotics are important, too, so dig into some fiber-rich veggies. Lots more on gut health in this post. I know that was a lot to take in! Examine your daily diet and pay attention to what might be missing. Writing down everything you eat every day for a week can give you a clearer picture and make it easier to see what you’re lacking. Bananas (B-6 and magnesium) — Try turning into banana candy or ice cream! Liver (B vitamins, copper, vitamins A & E, zinc, protein ) — Can’t help ya much here, but there are no shortage of people out there raving about the health benefits of liver who can point you to some recipes! These are just a few of the numerous options that can help you cover the important nutrients your immune system needs to keep those viruses from taking hold. You should choose the foods from each category you like best so you’ll actually eat them. If you’re catching a lot of colds, you may want to write down everything you eat for a week or so and take stock of what’s missing. You may find the key to keeping healthy this season! Let me know if you do, OK? And of course, you need plenty of sleep, water, exercise, and relaxation! No supplements will make up for a lifestyle designed to compromise your immune system. Stress is known depress immune function, and you’ve probably seen how skipping sleep can wreak havoc on your health. The good news is that exercise and a varied, healthy diet can help you manage stress and sleep better! Win-win-win! Do you like hacking your health? Make sure you know about these easy fixes for getting harmful chemicals out of your home. Fill in the form below to get my free checklist and subscribe to stay up to date on the latest easy ways to better health! If you do feel yourself coming down with something or someone else in your family is sick, you may want to whip up some elderberry tea or gummies to help you fight it off. Or check out these potent home remedies for fighting off colds! Do you have favorite immune boosting foods? What are your favorite ways to keep your immune system humming? Pin to save this info on immune boosting foods! Disclaimer: I’m a healthy food enthusiast, not a medical professional. Content on this website is intended for informational purposes only and is not meant to provide personalized medical advice. I draw on numerous health sources, some of which are linked above. Please consult them for more information and a licensed professional for personalized recommendations. Love sweet potatoes :). Thanks for sharing some good foods to boost immunity, Nature is full of great medicine! This post will be my feature at this week’s Sunday Fitness & Food! Congrats! Your posts have always so much valuable info Susannah! Thanks, Ilka — much appreciated! !